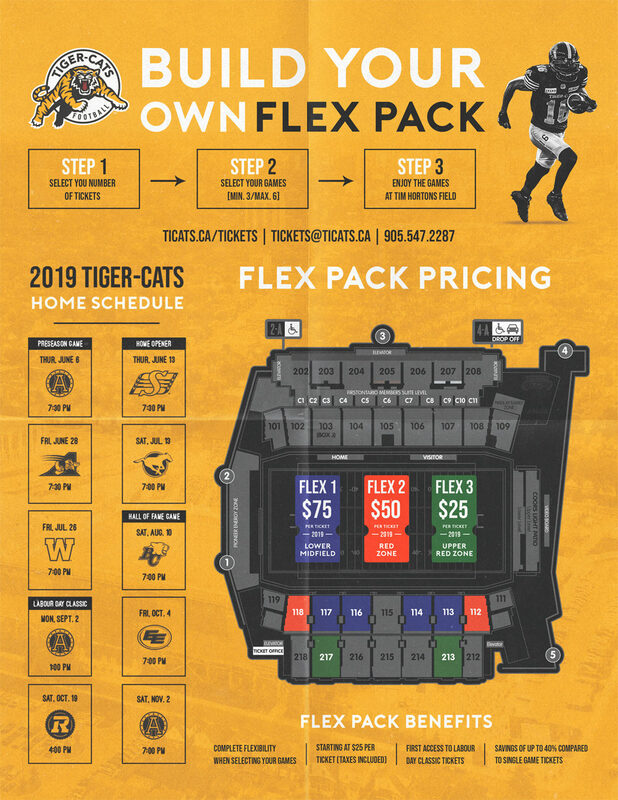 Introducing 2019 Flex Packs. This is your first chance to secure Labour Day Classic tickets for the 2019 season! It’s as easy as selecting your number of tickets, picking your games (minimum 3, maximum 6) and printing out your seats online. Plus, save up to 40% compared to individual game tickets! BUILD YOUR PACK > Start building your pack online. It only takes 4 minutes!